My name is Ping from Agoda. We are doing an article on Indonesia destinations to be published on our newsletter this July to be sent to over a million users and would like to use your photos of Lombok to feature in the article. We will credit the picture to either your blog or instagram as you prefer. Do let me know of your permission and looking forward to hear your positive response. Hi Marcel, Big thanks from us for your blog review, this is awesome content. My soon-to-be wife and I will be heading to Bali and the surrounding islands for our honeymoon from Oct 26 till Nov 11th. We know it’s the rainy season, and we have done a fair bit of planning already, but are there any tips and/or “must-see” things for our dates? Beside mawun for your honeymoon, may visit gili patagan, kapal, kondo, bidara, kenawa by lombokarfatour. Lombok has mountain and hills to treks, gilis patagan, kondo, kapal, bidara, kenawa island in east lombok by lombokarfatour serving hotels, east lombok tours, trekking, surfing, lombok airport transfer. 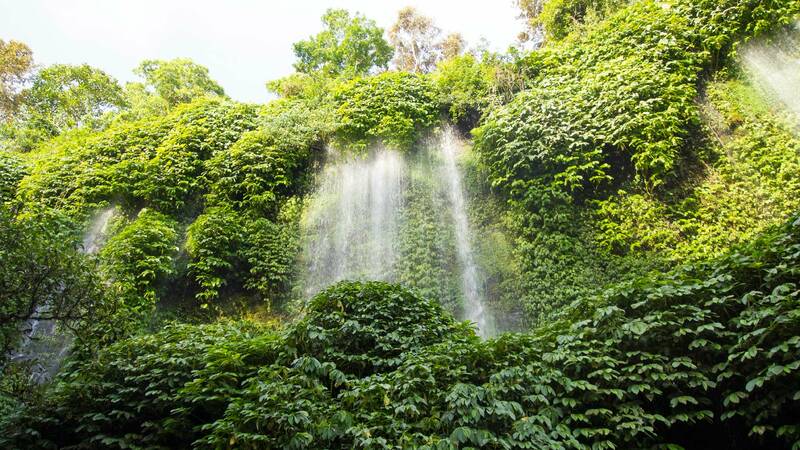 Some waterfall for healing in east lombok is worthly visited in rainy season. 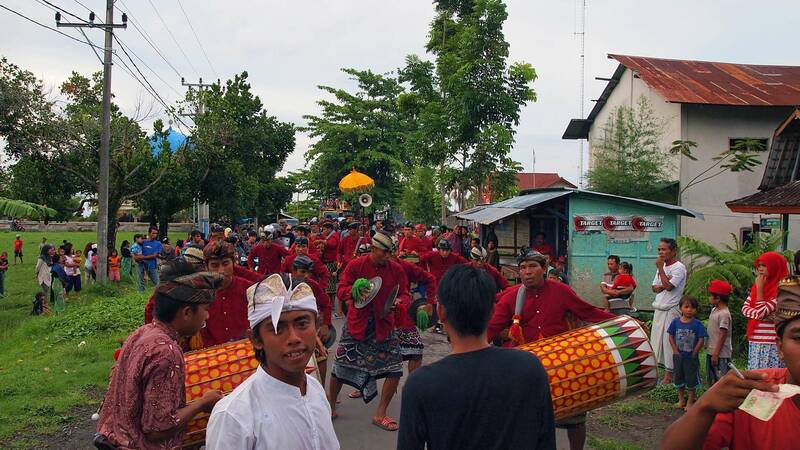 They are otak kokok, jeruk manis, pancor kopong by lombokarfatour serving airpot transfer, hotels, tours, trekking, surfing, drivers, car rental with drivers, scooter tours in lombok. Hi Marcel, I am planning a trip to Bali coming Apr (1st thr 9th). We are family of 6 people 4 adults and 2 kids. I have 7 days to spend in Bali and near by places. Prefer to relax and enjoy most of the time with kids and scenic beauty. If i have time would love to do snorkeling or diving. Hate to be on road most of the time. Can you please suggest some nice places which we can be and if possible advice on the hotels / villas where we can stay please. 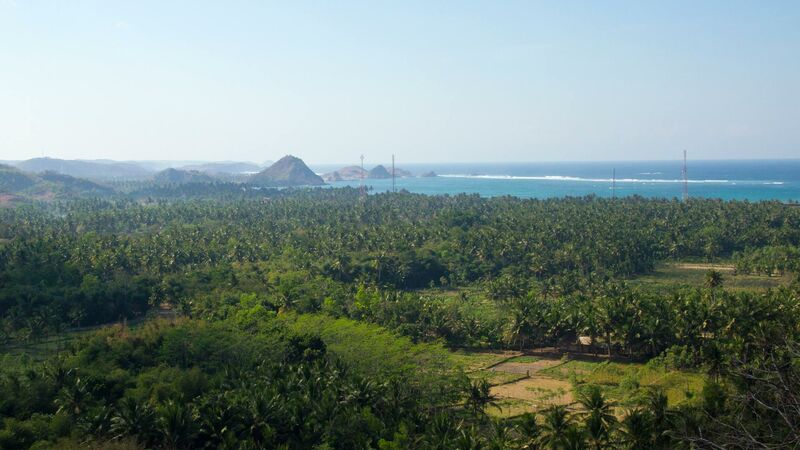 Lombok now has been developing into new tourism destination. 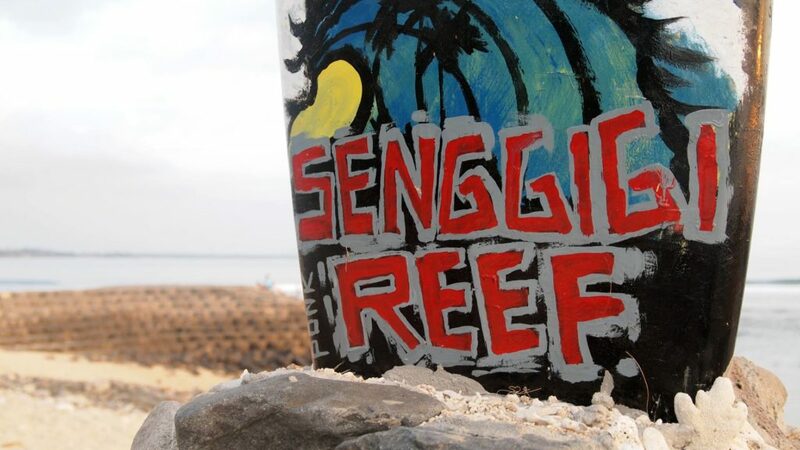 You may visit Gili island, trekking, some vila could be found in Senggigi. 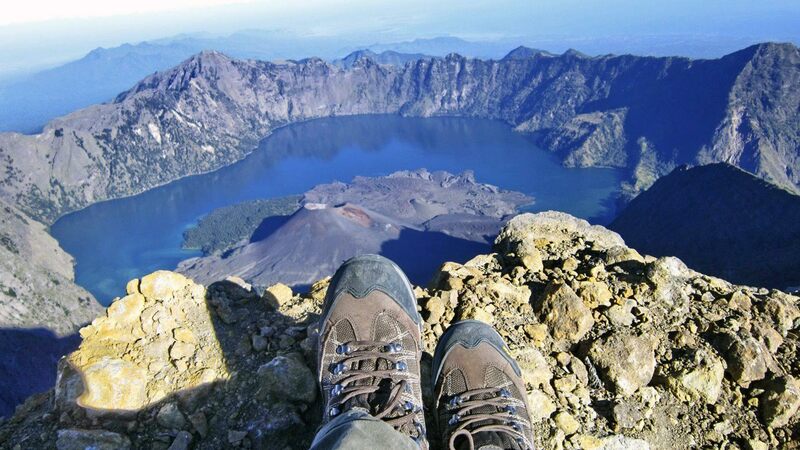 Is there a hotel where I can stay to have GREAT views from the Rinjani? I want to see the volcano, but I don’t want to treeking. I read here http://coconuts.co/bali/lifestyle/5-enticing-destinations-will-make-you-want-leave-bali-weekend/ that is possible to see the volcano without trekking. Is that true? From which hotel? What I may be able to see exactly? There is NO hotel near Rinjani area (it’s a national park). The nearest good hotels with a good view are in Senaru, like the Rinjani Lodge for example. You can only see the volcano from afar and you will never see the crater. This is only possible by hiking. 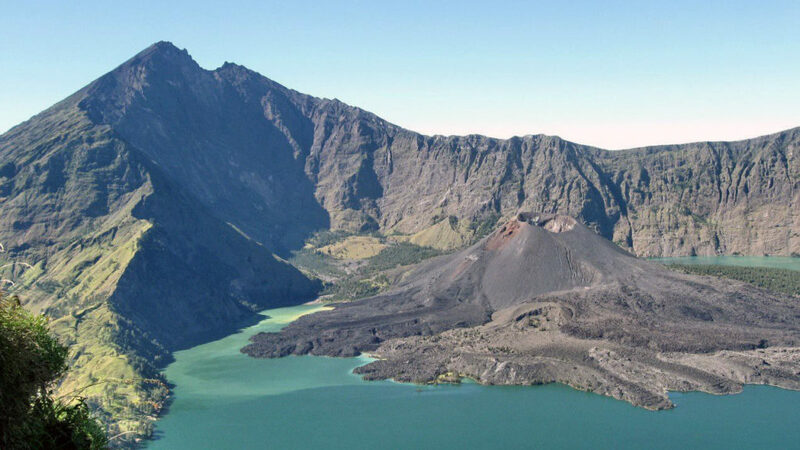 To have a nice view at the Rinjani mountain, you can also go to Tetebatu village. But it’s still quite far away though. Basically, you can visit Lombok in any month when it comes to snorkeling or waterfalls (best season for visiting waterfalls is during or after rainy season since there is much water coming down). My personal favorite time is after rainy season and before high season. Something around April/May/June. The island is still lushly green and there are few tourists. A rain shower now and then is totally OK and the prices for accommodations are not too high yet. “Worst” months are November/December/January because of heavy rains (however it doesn’t mean that it rains day and night 😉 ). For hiking etc., it depends on where you want to go. Please keep in mind that the Rinjani National Park is closed during the rainy season. I live in Indonesia, I give my up vote for yours. 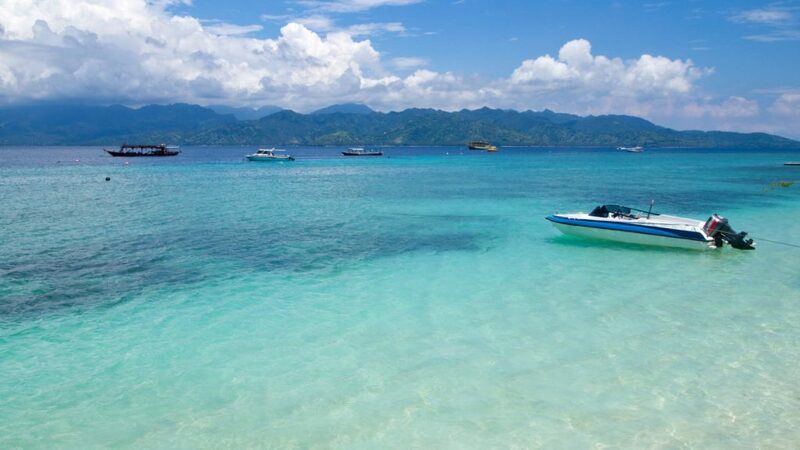 I was on Bali and the Gili last summer and really wanted to go to Lombok but ran out of time. 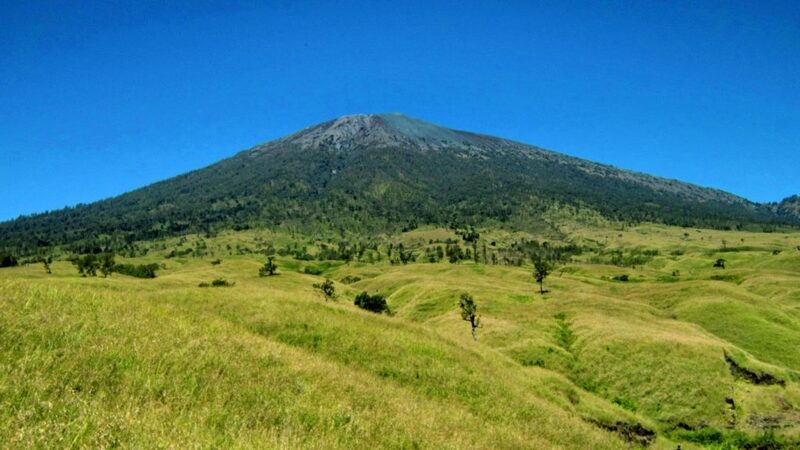 Lombok is famous for its mountain, gilis, beaches, cultures, waterfalls, ricefield, peacefull places for holiday, various tours by lombokarfatour. We are planning for a family vacation to Lombok in Feb 2017. We are 3 (includes 3 year old kid) and looking out for a more relaxed and child friendly environment. Could you suggest us some best places to stay and visit? Also the transportation from Airport Senggigi / Gilli (like to avoid more travel time). how far is the pink beach from main city? There are many nice and relaxed places, depending on where you want to stay: Senggigi area, South (Kuta), Sekotong or in the north (not the best beaches though). Where are you planning to stay? One of my favorite areas is Sekotong and its Secret Gilis. For example there is Gili Nanggu and many others. Hi Jaya. We are here now with a five and three year old. They really enjoyed Mawun Beach; but go right to the far (right) end to swim in waist deep water otherwise the drop off is dangerous and dumpy. Umbrellas and chairs can be hired here for $1.50 but don’t leave your stuff unattended if trekking down the beach for a swim. Fresh pineapples are $1.50 and worth a try. Our kids also liked feeding the monkeys at the far end of Kuta Beach. Buy peanuts from the local lady there and they call the monkeys out and offer safety (just in case) – totally worth the $1. Be careful of the monkey king – he is boss – make sure you don’t offer peanuts out of the bag, but one at a time otherwise they knick off with the bag… and don’t take a photo and show it to them – they love their own pics and my husbands mobile got snatched by a monkey (great monkey selfie though). They also just really loved the pool so I hope you booked accom with one. Which hotel did you stay at? Did you stay in one hotel and travel to different destinations each day? I have 5 nights that I can stay in Lombok (from Bali). I don’t know if I should stay in two cities 2/3? Also interested in crater. Don’t know if I am in good enough shape to hike up there? I will be going in June. 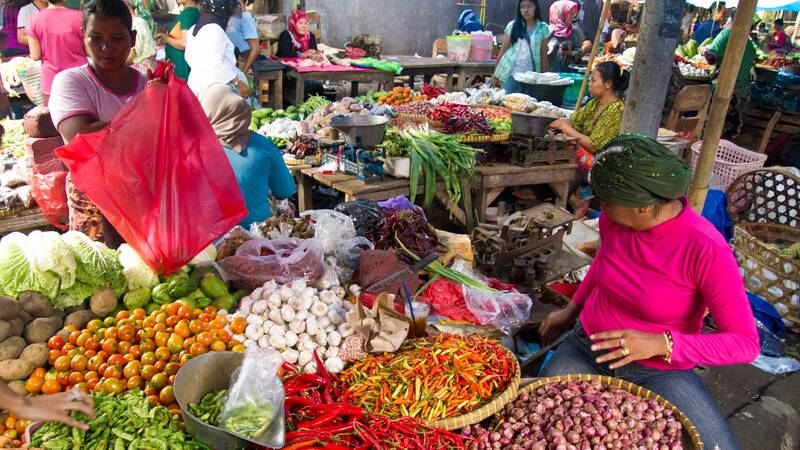 Bule homestay in kuta is worth to stay for its delicious meals by lombokatfatour serving hotels, tours, trekkings, indonesian language class, camping, scooter tours. HI there…Enjoy reading all the comments and reply. 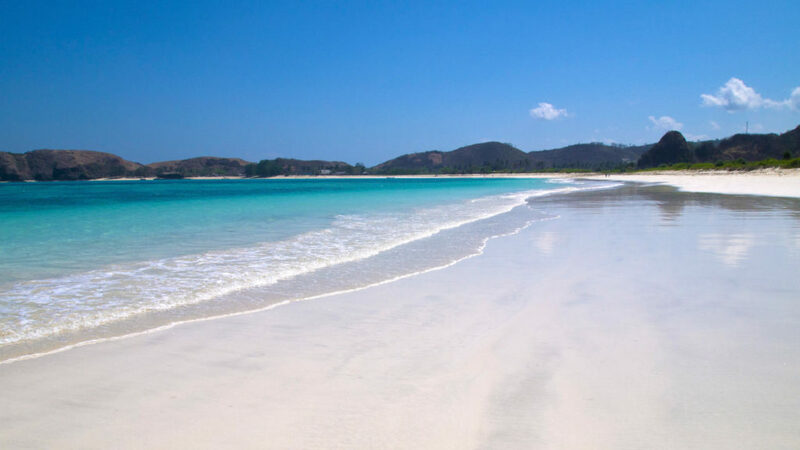 Would be going for my honeymoon on Early Jan but not sure what we can do in 3 days of our stay in Lombok. 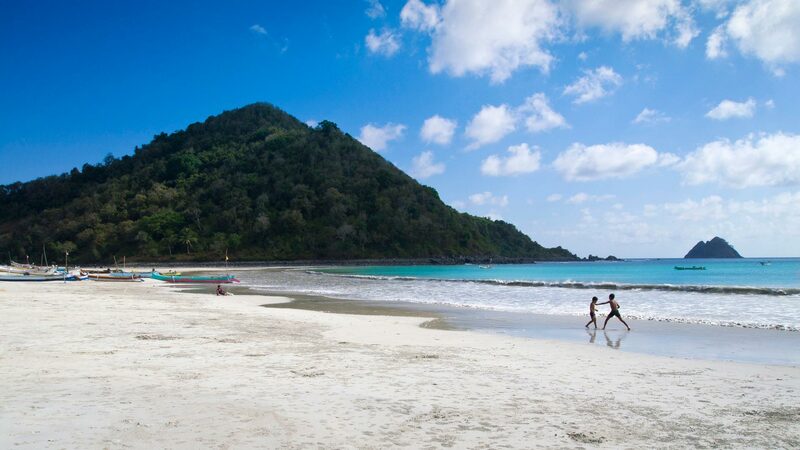 We’ve booked Living Asia Resort and would like to know what is there we could do apart from beach activities and is it safe for 1st trimester preggy woman to go for hike? Any idea if there is a nice place or malls that we could visit and how much normally does the cost of 1 day in Lombok roughly? Thank you so much for your all details that in your article. But i would like to know it take how long time to reach Gili Island from Lombok Airport? I would be travel on coming Feb’2017, it seem like is raining season, so is it will reaining all day long? Looking for your reply ! Well, it’s depending on the way of transportation. The fastest way would be with taxi directly to the harbors in the north. This will take about one hour. From there you can take the public boat (which is very slow and it might happen that you have to wait a while until the boat departs/when there are enough people on the boat) or you just go by speed boat or chartered boat. This is obviously the faster way but more expensive. Rainy reason doesn’t mean it rains the whole day. It’s not very predictable though. You can be lucky and have even some hot days without any rain. Mostly however, it rains heavily in the afternoon or night for a short while. Very rarely it rains all day long. I hope this was helpful for you. 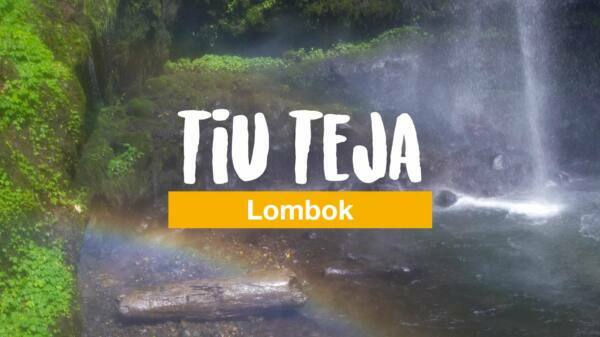 If you have further questions, feel free to join our Lombok Facebook group or just ask here. Lovely pictures and great blog. Yes you can buy directly at the airport or in every phone shop in the tourist areas. Another option would be to go to the stores in Mataram, for example XL (the provider I used for years). Thank you so much on your reply ! 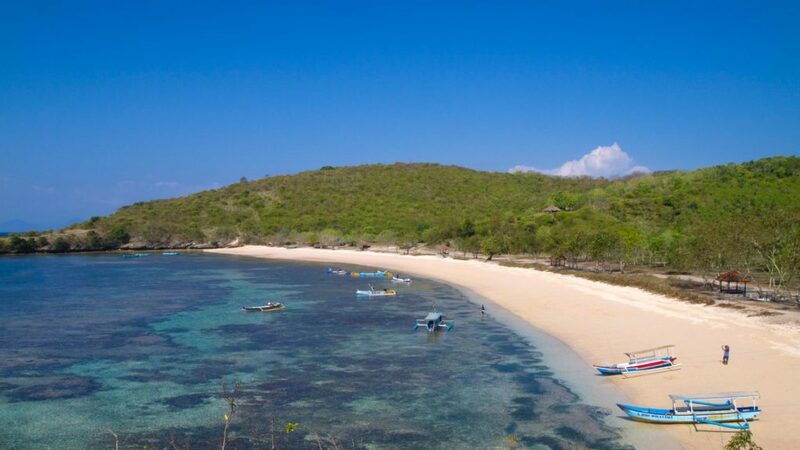 I need to explore Lombok, Senggigi bay looks amazing. Kudos on the photos! Hi, is there any way to get back to our accommodation at Sengigi from Gili T after sunset since the Bangsal is closed in the evening? You can always charter a boat, which is obviously more expensive, but possible. Hi! 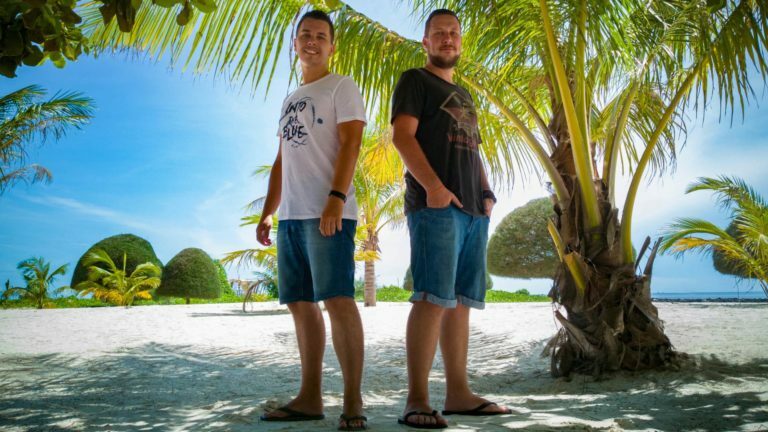 Great article, I just have some questions about the weather in Lomobok. Considering going there just over new years but I am little unsure because of the rain season. How much rain do you have to expect on a daily basis? And does it rain more or less every day for long periods? Would you go there during the rain season? I, personally, would indeed go there in the rainy season and just plan some more days. If I wanna visit some places and the weather is not good, I’d still have some more time left to just go another day. Very informative blog..well done. 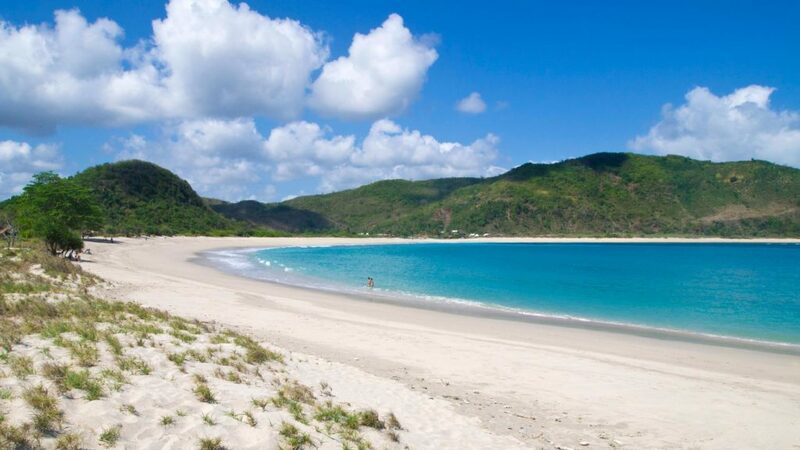 Special offer for one week trip to Lombok …from 10-17 Dec. …expensive and long flight from South Africa though so not sure if its worth it…how’s the weather during this time? Some say drier than Bali, mostly rain at night/short duration? Unfortunately time is limited otherwise would have loved to see more of Bali as well…could opt for 1 week trip there (slightly more expensive)…which would you choose if only have 1 week trip Bali or Lombok? Or should I leave the idea for now and see if somewhere at later stage can do 2 week trip incl. both? I think the weather is almost same as on Bali during this time. It might be quite rainy/cloudy but you can be lucky as well during your week and just have a couple of showers in the afternoon or night. It’s not very predictable during the rainy season. I hope this was helpful for you. If you have more questions, feel free to ask here or join our Facebook Group Lombok & Gilis – Travel Tips. Firstly thanks for your great blog. I have been travelling for years and its not that easy to find good blogs. 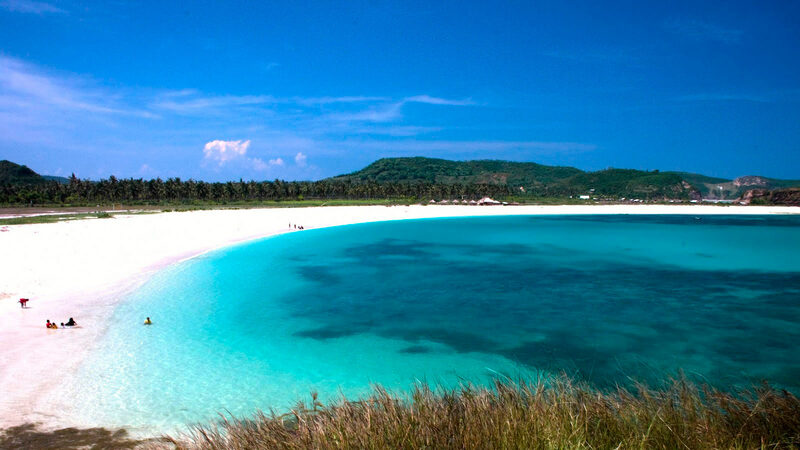 I will definetely take Lombok into account since I herd its like Bali but 20 years ago. I have one question though, this is whether to skip Gili or not? I have herd mixed accounts, some say its not nice anymore as its too crowded and touristy. I personally hate overexploated places with loud music and cramped spaces. Since you have travelled so much whats your take on Gili, is it worth going or could one simply stay in Lombok and enjoy beaches there? Essentially I am looking for the following: Romantic and chill place, good beach, no music and noise, access to beach and good diving. Any thoughts are welcome and appreciated. Thanks for your comment! 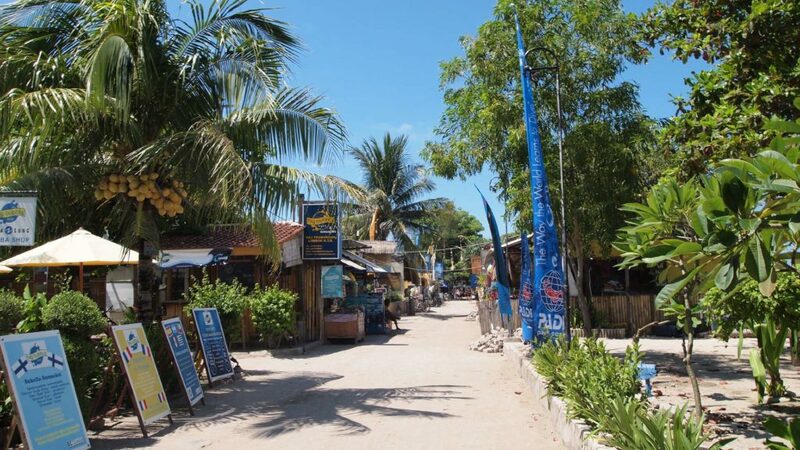 The Gilis are (especially in high season) indeed crowded and touristy – mainly Gili Trawangan. 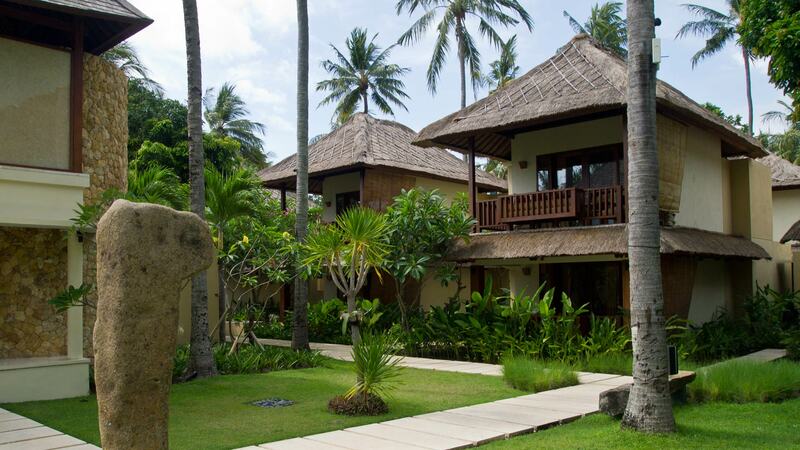 The other Gilis – Gili Air and Gili Meno – are still very quiet and you can find many places with a relaxed atmosphere. My favorite is still Gili Meno. If you don’t like loud party places, avoid the east coast of Gili Trawangan. The other side of the island has still many nice secluded places that are very romantic and have amazing sunsets. Do you have any info about Malaria on Lombok? I heard so many different stories…speacially about Gilis..
Is it neccesary to take some pills if going there? Kindly check this article about Malaria on Lombok. Amazing Marcel really informative, thank you for sharing and and posting all about Lombok Island and Gili Islands as well, Good Luck Man! Thanks a lot Jesse, very useful information I have been to Lombok few times during 2016. Last visit was on October . i love Lombok especially Senggigi beach so much , diffenatly going back very soon . Amazed to see how u reply everyone on this forum, super job chief. My wife and i are visiting Bali/Lombok for 4N 5D mid of Dec this year. We are visiting for the first time and are super confused whether to stay in Bali or Lombok. 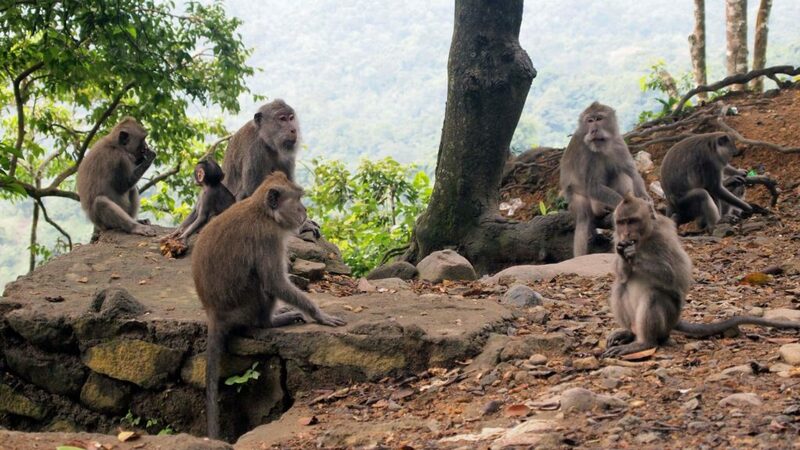 My travel agent has recommended Bali and given me a rather engaging active itenary, but being the peak tourist season, we want peaceful and less crowded place. Thats why i was thinking Lombok, to stay at Sheraton Senggigi and do lombok in these 5 days rather than switching between bali lombok. Gili Islands are a must. 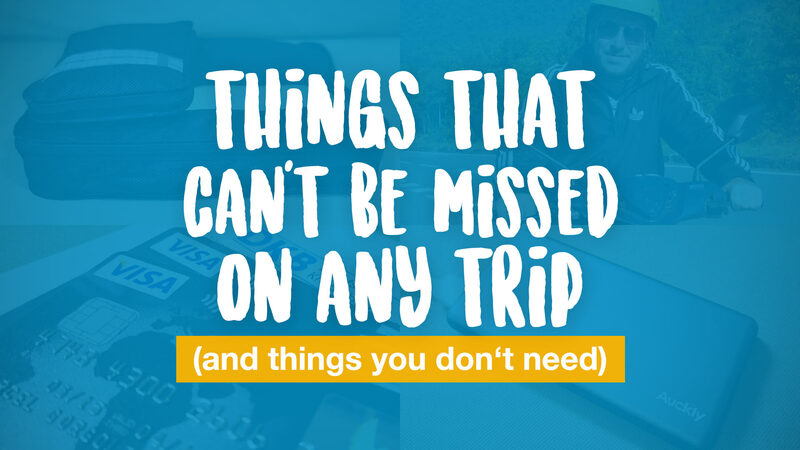 Can you suggest which ones to visit and if 1 day is enough or 2 days to see all of them? We want some water sports and snorkelling activities. Also the 1st day would be leisure, can you please suggest the perfect itenary for the remaining 2 days as the 4th day we would want to enjoy in the resort and move around before going back to Bali on the 5th day for our flight back to India. Do you suggest we stay the 4th day in Bali near Denpasar or Kuta as our flight is from Bali back home.? Then we can see some places in Bali on the 4th day or we should stay in senggigi only for the the days and just return to Bali to catch our flight? i know its a pretty long request from my end but really would be grateful if you can guide us. First I can say, there’s almost nothing that you can do only on Bali and not on Lombok. 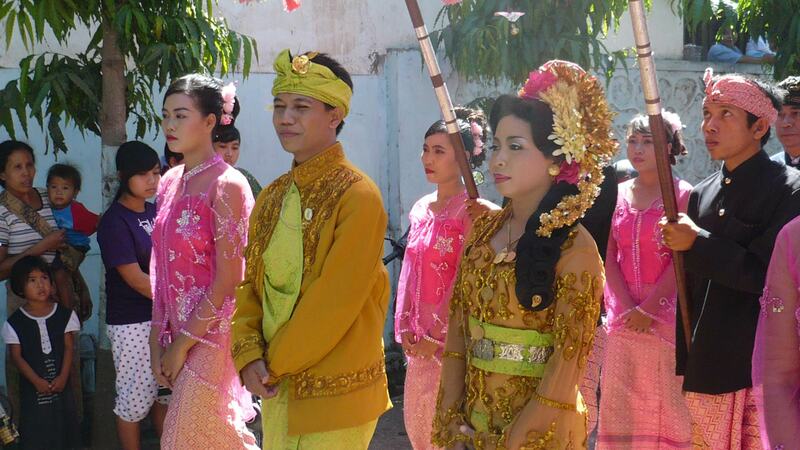 Besides a Balinese minority, Lombok even has its fascinating and unique Sasak culture. Plus, Lombok will be much more quiet. Sheraton is a great place I guess, however I didn’t stay there yet. The location is very good though and you have Senggigi Beach right in front of you. Gilis might be much more crowded, especially Gili Trawangan. 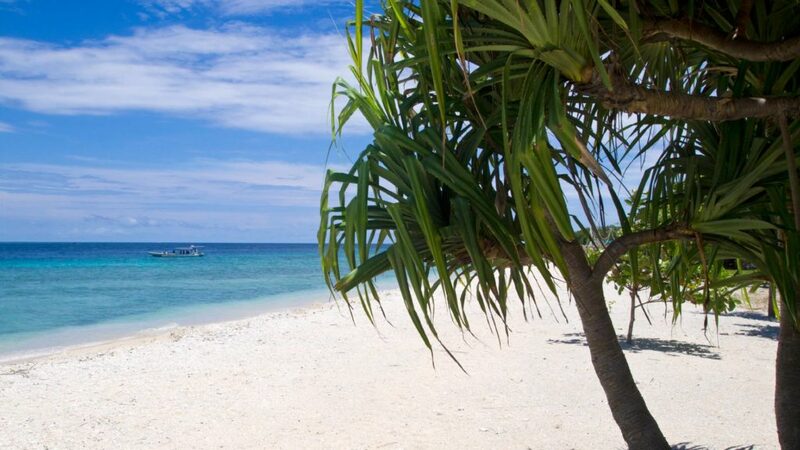 How about Gili Meno or the “Secret Gilis” in Sekotong? You can visit them on one day and do a snorkeling tour around the islands. I think it’s not wrong to visit Bali as well, even if it’s only one day. So you can see the difference for yourself. 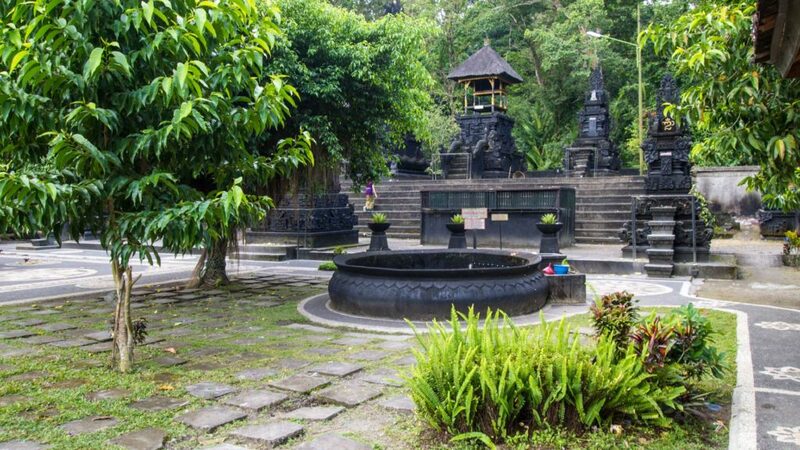 You could visit some beautiful temples or Ubud area. What time is your flight back to India? The fast boats from Lombok/Gilis to Bali are departing in the early morning, so if your flight is in the afternoon, you could basically make it. BUT: Keep always in mind that the weather conditions might change immediately during this season and in the worst case, there will be no boat going. If you want to be safe, better leave to Bali one day before. I hope this was helpful. Feel free to ask, if you have any further questions. Hi guys. I’m origin from lombok. 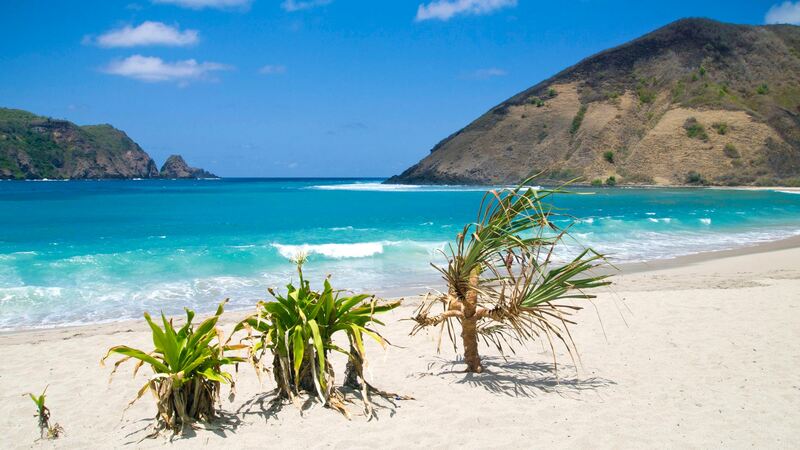 Lombok is a paradise island coz many beautiful natures are listed here. North lombok with its beautiful waterfalls. Three gilies: Trawangan is wellknown fot its party every night. Meno for its birds park and a lake in the middle of the island but quite silent place . And Air, for its beautiful marine and good place to visit for families. 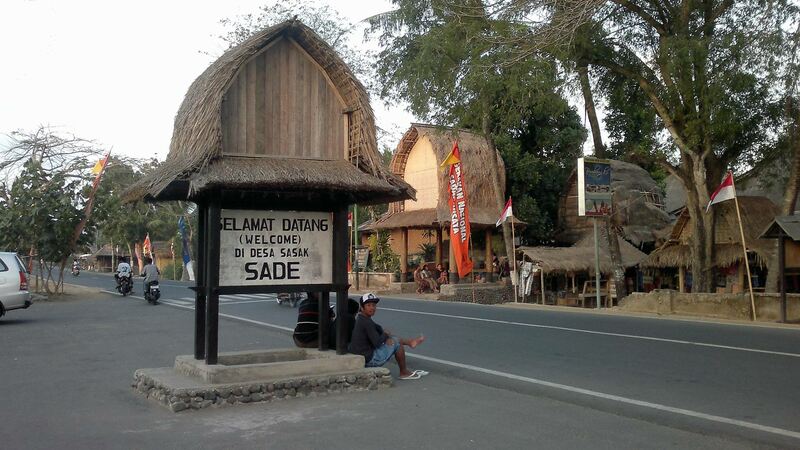 On central lombok, there’s beautiful kuta beach and Sade village. BUT, u have to be carefull to go riding around there since robbery (few times) happened there. But u can ask locals there to get info, all local people here are mostly friendly. 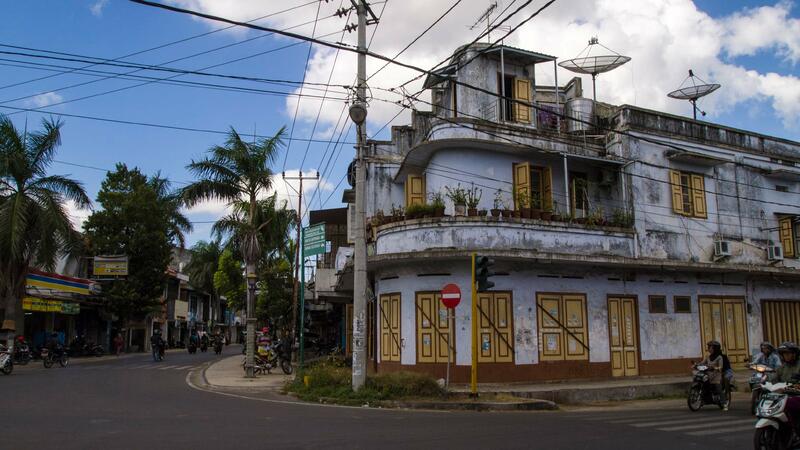 Yes, almost every restaurant or Warung is halal – maybe except for the Balinese/Chinese restaurants which you will not find so often (mainly in some districts of Mataram). Mostly, the restaurants/Warungs are run by Muslim owners. Hey Marcel! Wow! What a great site and I really must say what a great job you are doing of answering the many questions from everyone! I’ll apologise now for the long post with many queries….any help you can give is much appreciated! My wife and I have a cafe and bunkhouse on a tiny Scottish island and each year when we are closed for the winter we love to get 6 weeks somewhere lovely and warm! 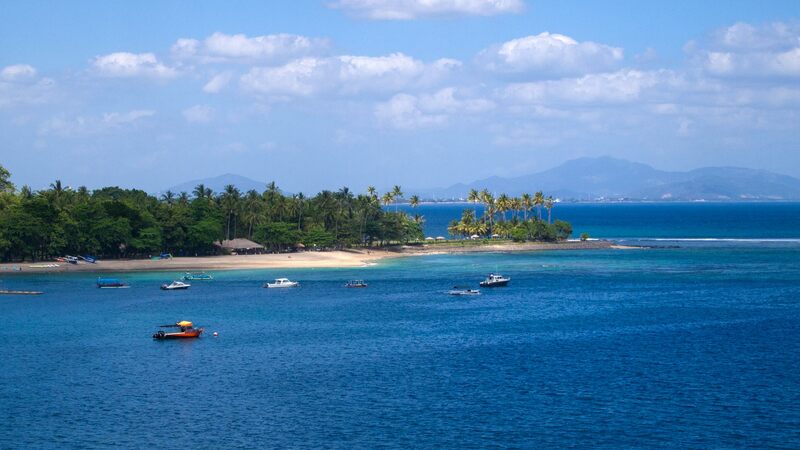 This January we are flying into Bali but will head straight to Lombok. Our needs are simple: Basic accommodation (Banyu Urip Homestay looks ideal! ), access to lovely beaches, good food and drink options with sunsets, not packed with tourists but a nice atmosphere! 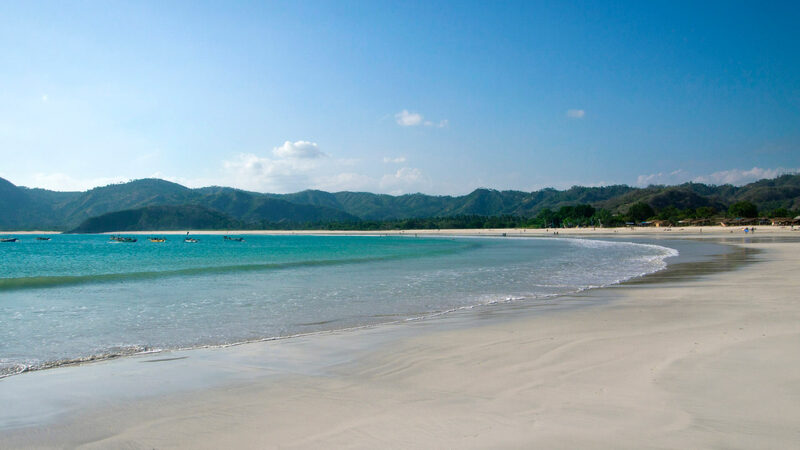 My early thoughts are to spend the first few weeks based in Kuta Lombok. From there we would love to rent scooters and explore on day trips or spend time on the local beaches. Do you have experience of living there in January? It’s rainy season so I’m worried that it might make scooters pretty dangerous in the event of serious rain! Are the roads generally in decent condition on Lombok? Your video shows lots of amazing quiet open road…..that’s what we are after! I think we’re also interested in 2/3 weeks chilling on one or 2 of the main Gili’s. Have you experience of spending time there in February? Are they still as packed with tourists or is it a little more chilled? I guess I’d ask the same question about accommodation. Would you recommend booking somewhere in advance or doing it on arrival? Thank you so much for any time you can give this! Thanks for your comment! January is indeed rainy season but I wouldn’t worry too much about the scooter thing. Yes, it might happen that suddenly some heavy rain will appear. Just stop somewhere in a restaurant, cafe or Warung and enjoy some food. 😉 Mostly, the heavy rainfalls are over after some minutes or an hour max. Just be careful when you drive then as it might be slippery. The main roads on Lombok are all safe to drive. In the south/Kuta area the roads are not always the best, but that’s only some. In January it will be no problem at all to find accommodations on the spot/on arrival. You should always try to bargain since in January there are not so many tourist and they will want to fill their rooms. I was on the main Gilis in March for the first time. It was MUCH more chilled than in high or peak season. Many thanks for taking the time to reply and for keeping up this brilliant site! Hi Martin – just out of interest and given that you mention that you have a café/bunk house in Scotland, can I ask where as I am planning my trip to Scotland for next summer and would like to visit a small Scottish island. Thank you for this amazing post. I fell in love with Lombok after reading your post. 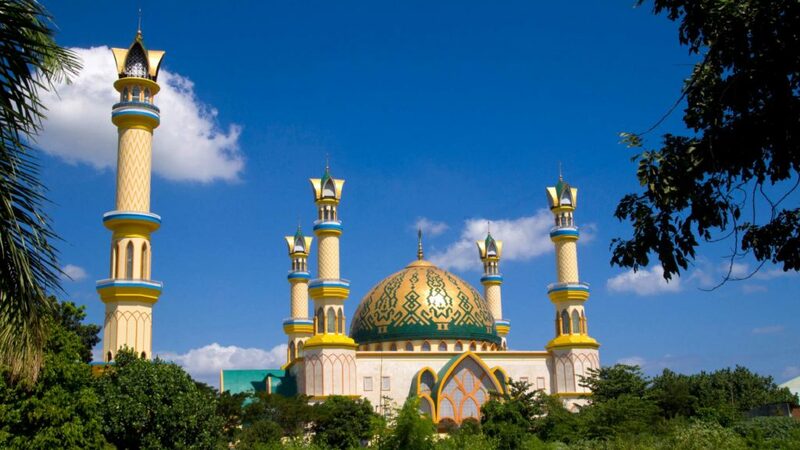 We are planning to visit Lombok this December and are a bit unsure of the accommodation and travel within Lombok. Could you please suggest the best place to stay here considering the fact that we want to visit all the above places? Also what is the best means of transportation to get around Lombok? 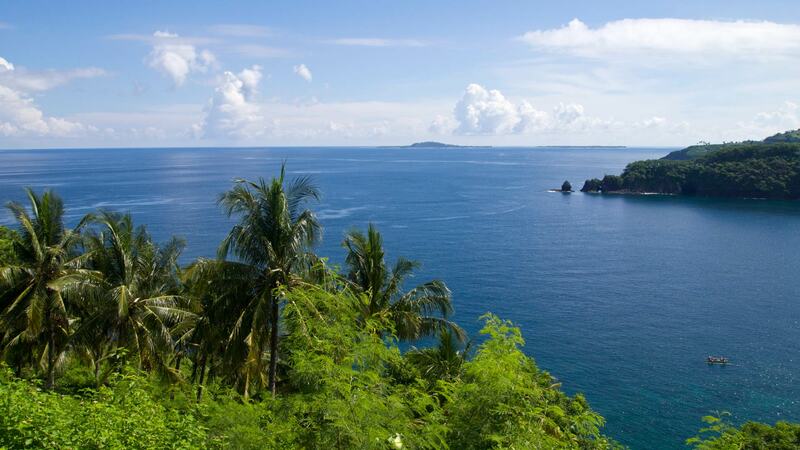 Which offers a better diving experience- Bali or Lombok? You can find some recommendations for accommodations at the end of this article. 😉 There are many ways to get around: taxi, motorbike, Bemo (local public transportation), renting a car or hiring a driver. Depending on what you like most and what’s your budget. The most convenient way is surely just hiring a driver who will drive you around. But it’s also expensive when you do it too often. Since I’m not a diver, I can’t tell you. All I know is that Lombok and the Gilis have some great diving spots. Hi Marcel, great info and advice. 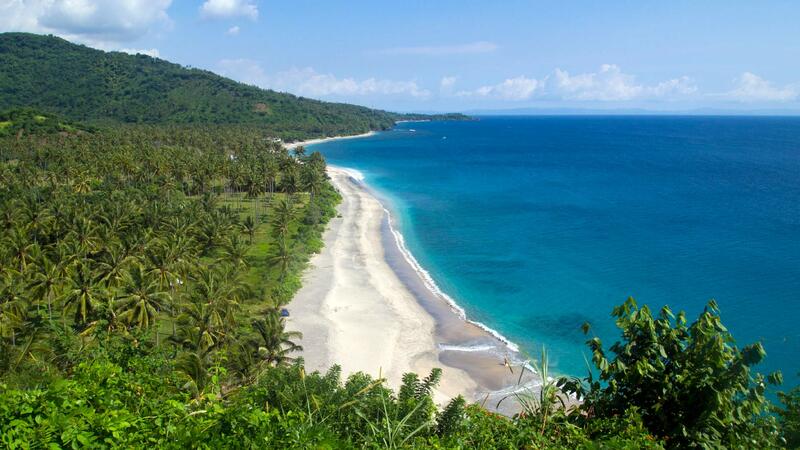 Will be on Lombok for just over 3 weeks in October and then Gili Meno for 5 days before heading home. I am into photography and am planing to take my expensive gear with me,main interests are landscape and street photography. Can you advise if there is a chance that I will be robbed. If so I will take a less expensive camera. Am travelling with a friend, we are both fit 50+ females and seasoned travellers. Planning on checking out the less travelled areas and spending a lot of time taking in the culture. Amazing landscapes! I wish I have chance to see all those!